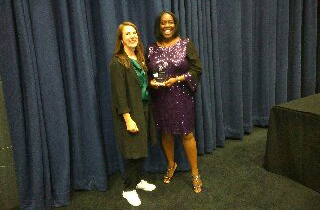 UNISON member Evelyn Beckley was recognised with the award for ‘operational services excellence’ at a special NHS event on Tuesday night to celebrate the contribution of the Windrush generation. 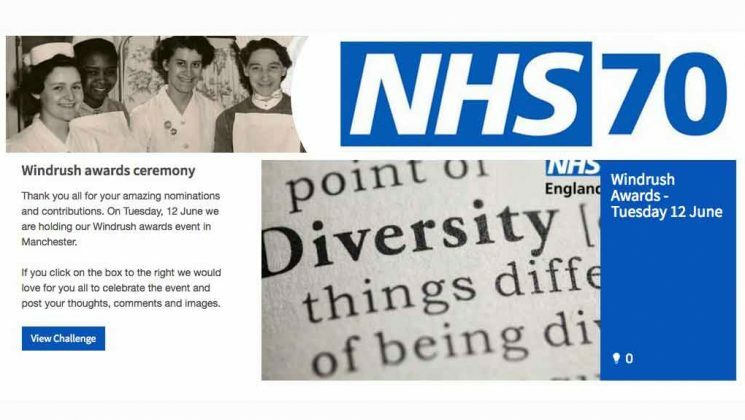 She is a patient affairs officer at the South West Yorkshire Partnership NHS Trust, and her work was recognised at the Windrush Awards ceremony in Manchester, organised by NHS England to celebrate diversity in the NHS and to mark the health service’s 70th birthday next month. Fittingly, Evelyn’s award came in the category sponsored by her union. 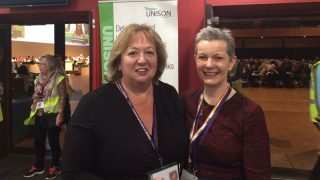 UNISON head of health Sara Gorton was at the “very special” event and said: “Evelyn is a member of the finance team and is a shining example of hardworking NHS support staff who work tirelessly behind the scenes to make a real and positive difference to patient care. 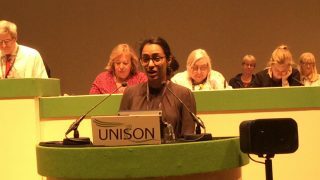 “This is a message which UNISON has made again and again via our One Team campaign. “Evelyn has worked with some of the most vulnerable mental health inpatients within her trust. 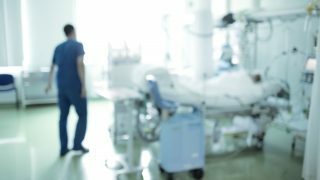 “She not only administers benefits for inpatients, but also helps them with their claims, sorts out any difficulties they might be facing and pays their bills. “Like many of our pperational services members, Evelyn goes above and beyond the call of duty to help to improve the lives of patients.